Excited by AMD Ryzen and want to see what all the fuss is about? Then we have just the competition for you! In partnership with GIGABYTE and FreshTech Solutions, HEXUS is giving our readers in the UK and Ireland a chance to win an eye-catching Ryzen Onyx base unit worth more than £1,400! 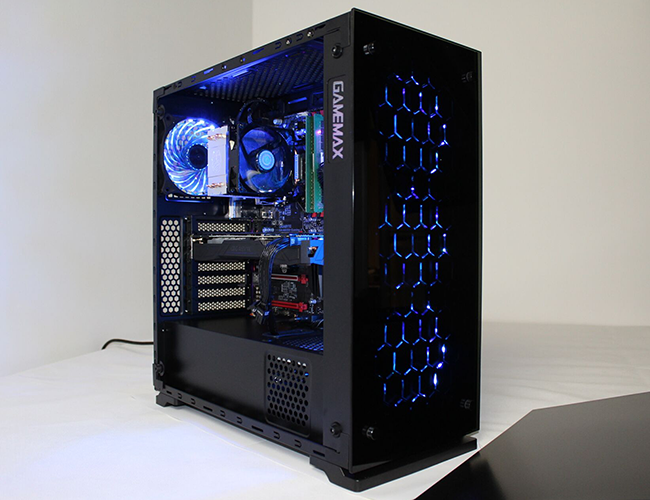 This powerful machine includes a GIGABYTE GA-AB350-Gaming 3 motherboard, an eight-core, 16-thread AMD Ryzen 7 1700X processor, 16GB of DDR4 memory and GIGABYTE GeForce GTX 1080 graphics. An epic PC for demanding workloads, and we're giving it away for free! Want to be in with a chance of winning? Answer the following question to enter our prize draw, and don't forget, you can also claim a second entry via Facebook to increase your chances. The prize draw is open to HEXUS readers in the UK and Ireland aged 12 years or over. The competition winner(s) will be picked at random from all eligible entries that arrive by 22:00 GMT on the closing date, May 14, 2017. The winners will be notified via email by May 21, 2017. The winner must claim their prize within 7 days of the promoter sending notification. If the prize is unclaimed after this time, HEXUS reserves the right to offer the unclaimed prize to a substitute winner selected in accordance with these rules. All working now. Enter away!